Waeco CoolMatic CRP40 Caravan or Boat Compressor Fridge. Coolmatic CRP40 refrigerator features a separately insulated 3-star freezer compartment, ensuring a constant –18°C is maintained in the freezer compartment and the desired +5°C to +7°C in the rest of the refrigerator, even when ambient temperatures reach +43°C. 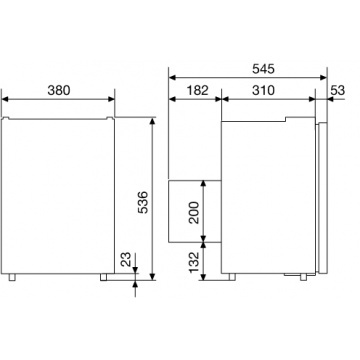 Where space is limited, the cooling unit can be fitted up to 1.5 m away from the refrigerator. Designed for smaller yachts and boats. Coolmatic compressor fridge with freezer compartment. 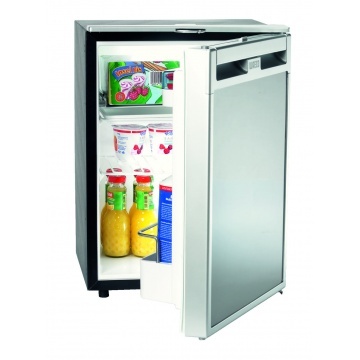 Capacity: 39 litres includes 5.3 litre freezer compartment. 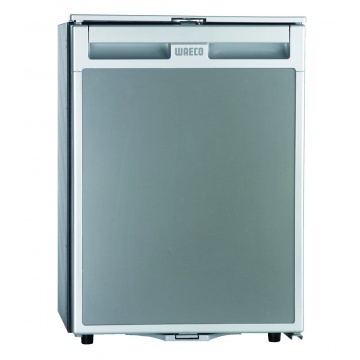 Separately insulated 3-star freezer compartment 5.3 litres. Additional foamed rear-wall evaporator in the interior. Condensation drainage via hose connection or collection tank.